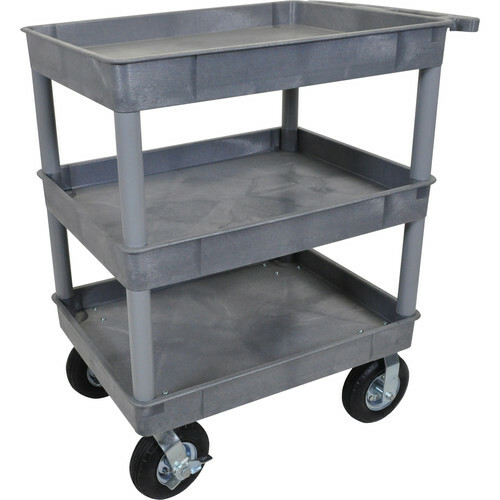 This grey three shelf service carts features big 8" pneumatic wheels ensuring a shock absorbing, cushioned ride as well as smooth and quiet operation. Ideal for outdoor use and bumpy warehouse floors, or noise sensitive environments such as hospitals and hotels. 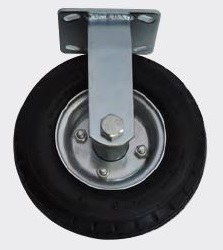 Regardless of the surface you are dealing with, the air filled tires can smoothly transport cargo such as over rough terrains like gravel or dirt.